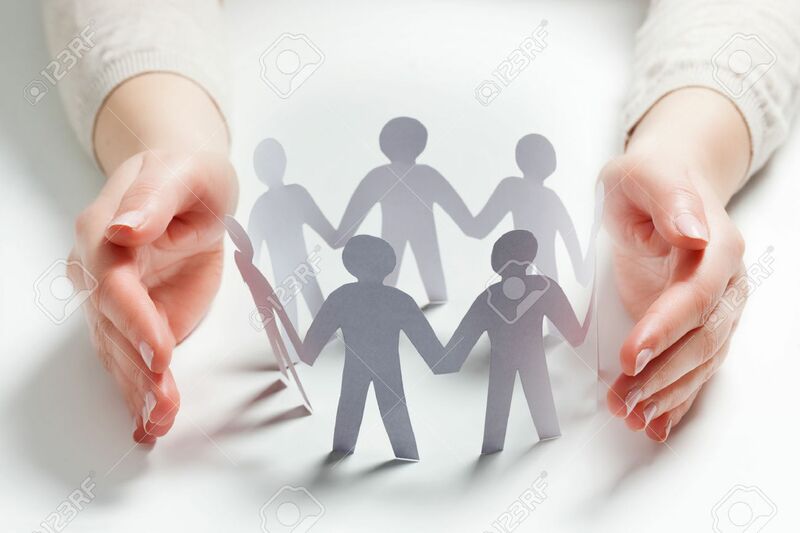 Paper People Surrounded By Hands In Gesture Of Protection. Concept.. Stock Photo, Picture And Royalty Free Image. Image 56766727.